Zeh Original Art Blog Watercolor and Oil Paintings: Deep Snow! 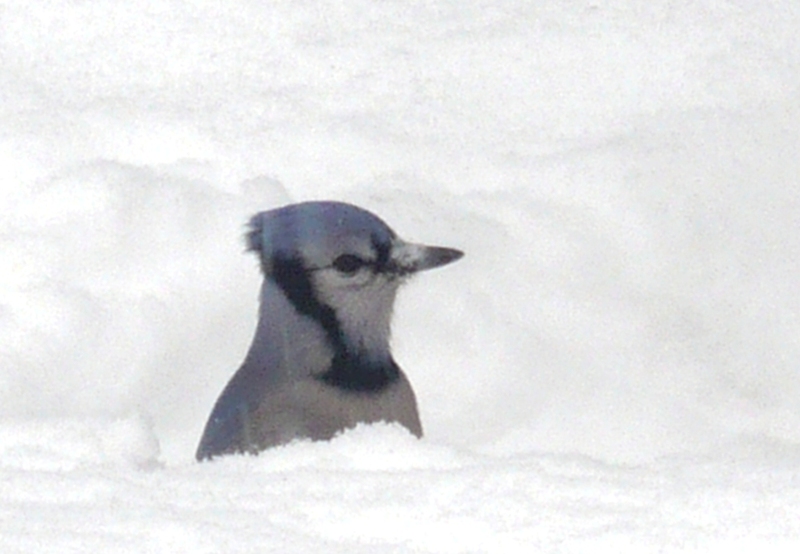 This poor blue jay looks like he's half buried in the snow. This is a photo I took out my studio window. The jay is actually under the bird feeder. The recent snow has been so fluffy that the birds have packed it down. It makes a fun picture, don't you think? Now you know why I've been painting the bird series. I can see them at the feeder from my easel and they are very inspiring! I know. It's funny because I had no idea it was a good picture until I loaded it onto my computer and looked at it.